Duro Extend Capsules Recall: Another Dietary Supplement Down! The dietary supplement known as Duro Extend Capsules, manufactured by Intelli Health Products, has been recalled throughout the nation. Intelli Health Products took this step after the Food and Drug Administration produced results from an analysis of the product showing that it contains Sulfoaidenafil. Sulfoaidenafil is an ingredient that is FDA approved for the treatment of erectile dysfunction. The reason why Sulfoaidenafil must be FDA approved is because the drug can negatively interact with other prescription drugs when taken together, such as with nitroglycerin. In addition, Duro Extend Capsules may lower your blood pressure to a high risk level. These two noted risks place people with high blood pressure, diabetes, high cholesterol and heart disease in danger for serious adverse reactions that may be life threatening when taking Duro Extend Capsules with their prescriptions for their medical condition. Duro Extend Capsules are sold across the U.S. in a blister pack containing one capsule per unit, 12-pack, 24-pack display boxes, or 3 count and 10 count bottles. All lot numbers have been recalled by Intelli Health Products. People who have experienced an adverse reaction when using the dietary supplement should contact their physician immediately. All consumers using the product should stop using it immediately and return the unused portion to the place of purchase. Quality assurance testing at Intelli Health Products did not include a test for Sulfoaidenafil so Intelli Health Products was unaware that Sulfoaidenafil was contained in Duro Extend Capsules until the FDA conducted its analysis. Over-the-counter and online products are not necessarily regulated by the FDA. It is often the manufacturer’s responsibility to ensure the product is safe and effective. In recent years, the FDA has stepped in to conduct testing of over-the-counter and online products. Yet, the number of products available online alone are so high it can be all, but impossible for the FDA to manage over-the-counter regulatory affairs. Therefore, consumers must proceed with caution when purchasing online products. It is wise to check with your physician before using any over-the-counter or online product. 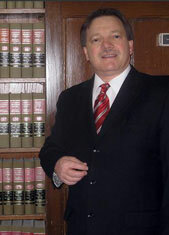 Burton Padove, Indiana and Illinois lawyer, is available to help those who are injured because of defective products. He can be reached at (877) 446 5294.